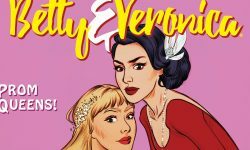 Home Posts tagged "Betty & Veronica"
Get ready for Prom with Betty & Veronica! Preview the new Archie Comics on sale today, including MEGA MAN #55! Check Out the Archie Comics Solicitations for July 2015!